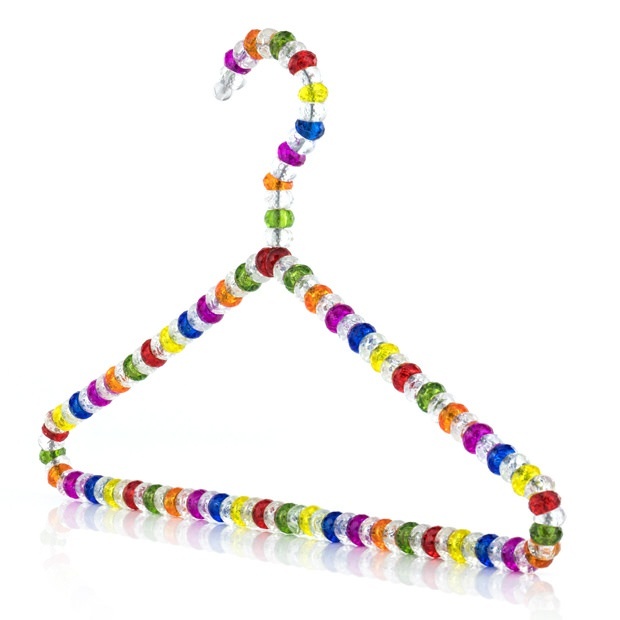 Premium quality strong metal hangers covered in stylish coloured beads. Suitable for use with dresses, skirts, jackets, trousers, delicates & woollens. Great decorative hangers, but also practical. Dress & Skirt straps slot between any of the beads allowing clothing of all sizes to be held firmly in place. No more garments slipping off hangers! Exquisite design and vibrant, stylish appearance. Plastic beads will never discolour your precious garments. Ideal as a gift; to give your wardrobe a fresh, luxurious look, or for a stylish boutique retail display. Size: Width 40cm (15.8") approx. Be notified when this item is back in stock.